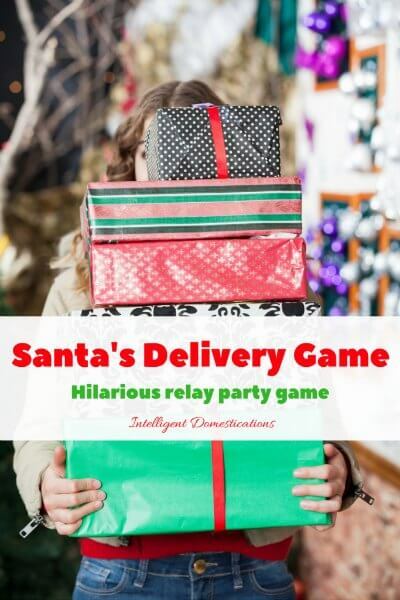 Fun Christmas Party Games - Christmas Games Ideas for Everyone! 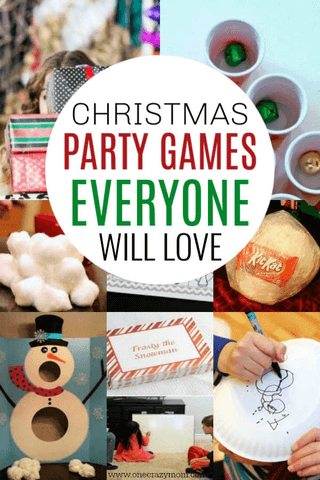 Christmas is the perfect time of year to get the family together and we have 15 Christmas Party Games everyone will enjoy! While everyone is visiting for the holidays, or perhaps on Christmas Day, why not play some fun Christmas Party Games together! This is a great way to not only bond as a family, but build memories that will last you a lifetime. 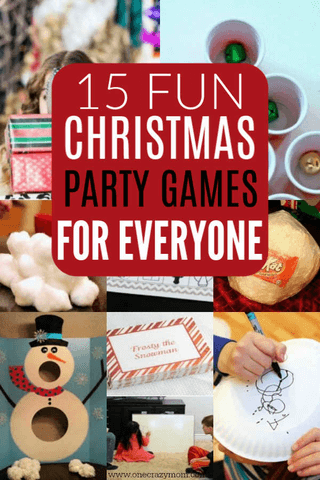 Here are 15 of some of the best Christmas Party games to play with your family. Everyone will have a blast and create lots of fun memories. These fun games are sure to be a hit! What are some games to play at a Christmas party? From Christmas bingo and snowball toss to snowman drawing and candy toss, there are lots of gun games to choose from. They are easy to put together and so fun to play. Keep it simple and don’t stress over it all being perfect. Everyone will have so much fun with these fun games. What do you do at a Christmas party? Everyone knows all good Christmas parties have fun games and delicious food. Games are also really good ice breakers and get everyone interacting with each other. We love to serve Grinch Punch for a festive holiday drink. Not only is it pretty but it’s so tasty. Throw in some Christmas Puppy Chow and you have a great party! Oh and I always print out several of these free Christmas Coloring Pages for the kids table. They have so much fun doing the coloring pages and it keeps the kids occupied. You can always grab a Santa hat or festive outfit for the party. Singe a Christmas carol or two and have a very merry time! Make sure the Christmas tree is up, display your Christmas cards and you could even turn on Christmas movies. We like to do 12 days of Christmas with a new idea each day. Some people also like to do gift exchange games like Dirty Santa or similar games. Traditional games like a good old fashioned scavenger hunt or family feud always make for a good time. 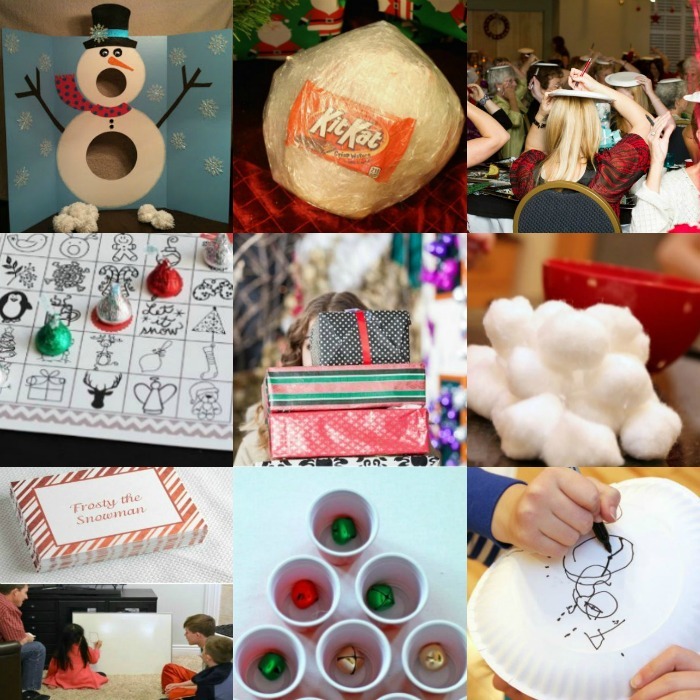 These Christmas party games for families and more are sure to be a hit! 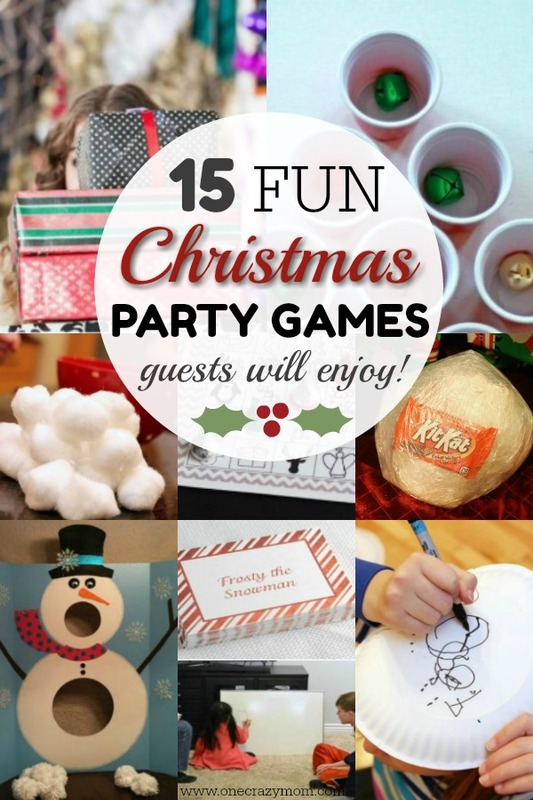 Let’s get started with these Christmas Party Game Ideas! 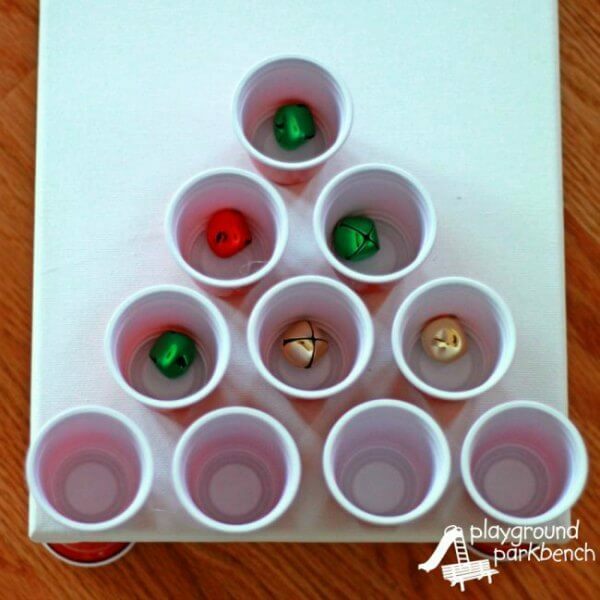 These Christmas game ideas are sure to be a success at your annual holiday parties! Try and see how many jingle bells you can toss into a cup! 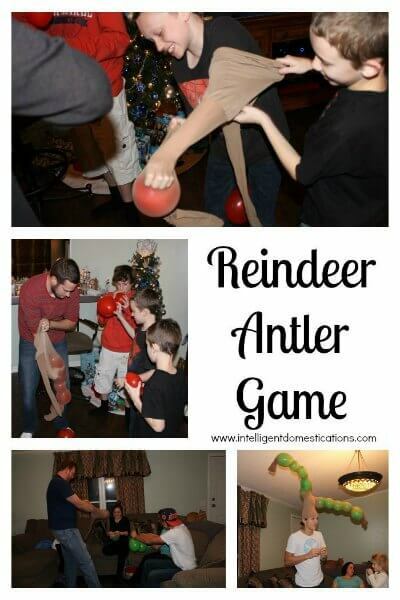 So fun and the perfect Christmas themed game to play. See who draws the best snowman on top of their head without looking! 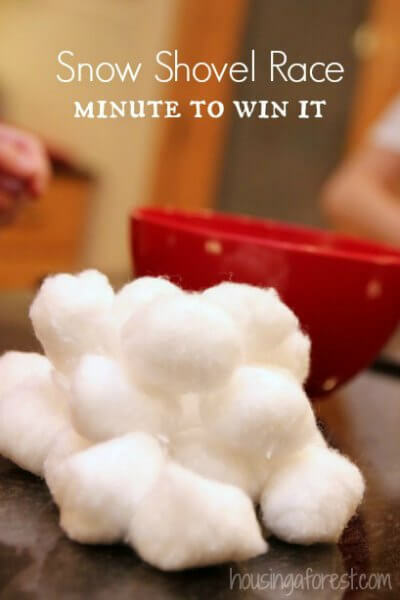 This is tricky but one of the most fun Christmas party games! Wrap candy such as candy canes or chocolate in layers and layers of saran wrap! Pass it around until it’s all unwrapped. This fun Christmas game might seem ordinary until you find out the writing must be done on your head! It’s hilarious to see what everyone’s plate looks like after writing on it without looking. 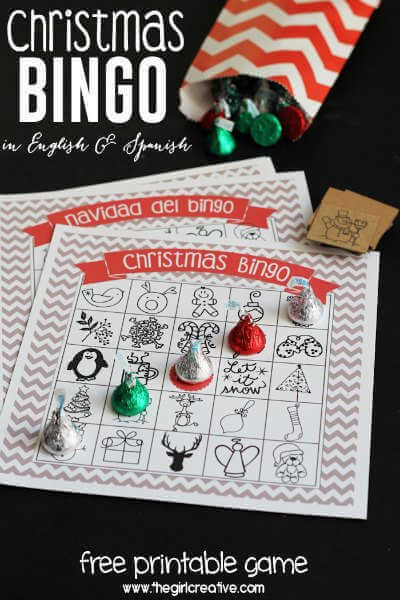 Use Christmas Hershey Kisses to play bingo with free printables. These free printable Christmas bingo cards are so fun and will keep guests busy laughing! Do you love charades? 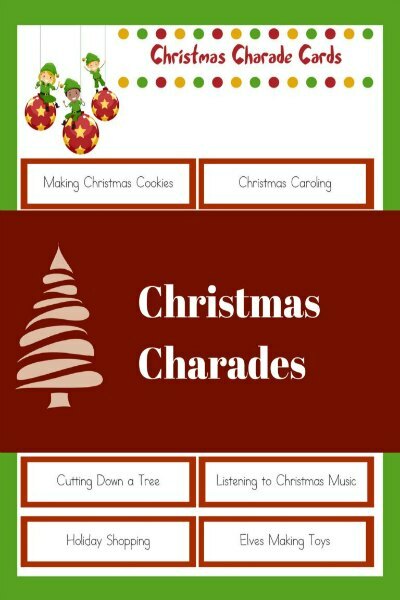 Play Christmas charades for even more holiday fun! Find even more Christmas charade ideas here! Lots of fun ideas! 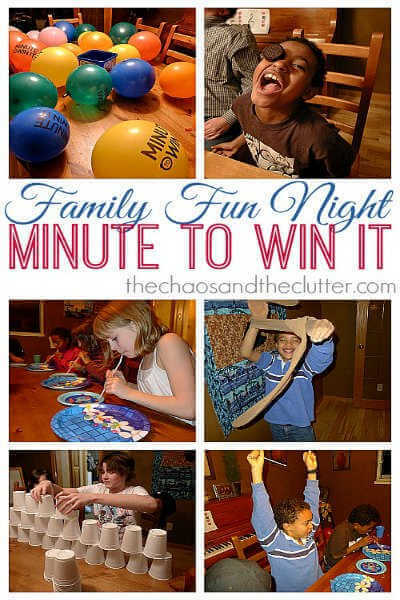 These family minute to win it Christmas games are always a hit and so much fun to play! You and your party guests will stay laughing all night! See how much “snow” you can shovel and race to win! This is a race against time and it’s so cute for holiday parties. 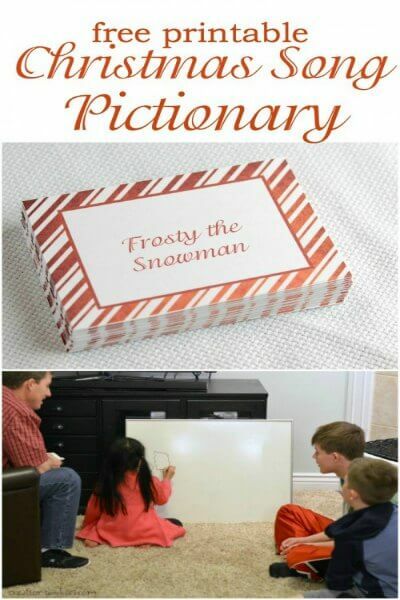 Pictionary gets a holiday twist with Christmas songs. This is such a festive and fun game. 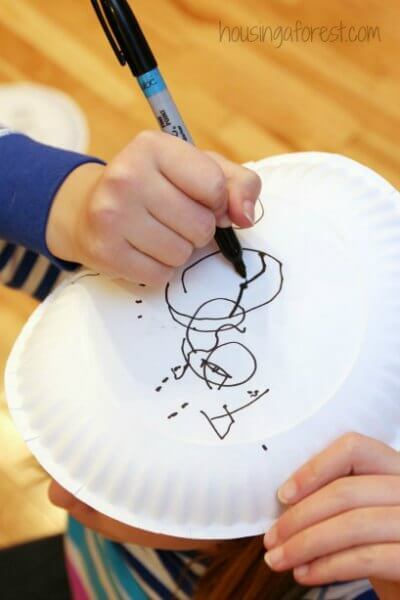 These paper plate games are so fun! It’s always hilarious to see what everyone draws. 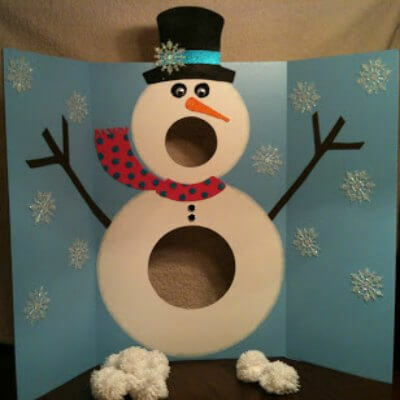 Use leftover cardboard to make this fun snowman toss game. 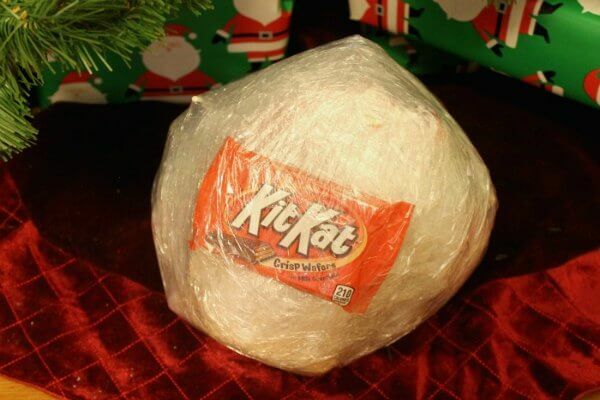 The person that gets the most snowballs inside wins this fun holiday game. This game is just hilarious and perfect for large groups! If you are looking for a game that will keep everyone laughing, this is it! The stocking’s are just hilarious as antlers. This is similar to the relay game but is the Santa version. Guests will love seeing what everyone comes up with. Grab this free holiday play list and play Name that Tune! You might be surprised which person knows what once the Christmas songs start playing. 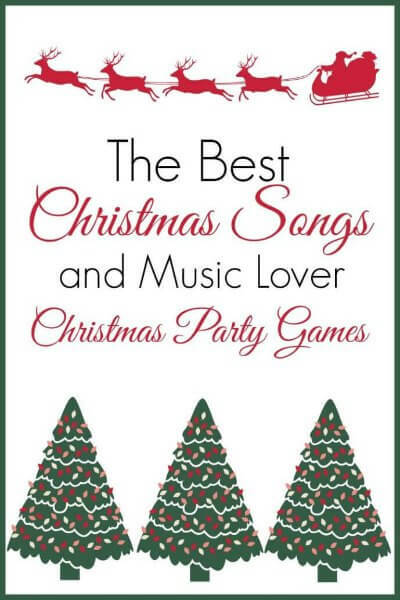 Now that you have so many ideas for Christmas party games, let us know which one you choose! No doubt these will be fun for everyone! I bet these become yearly traditions. 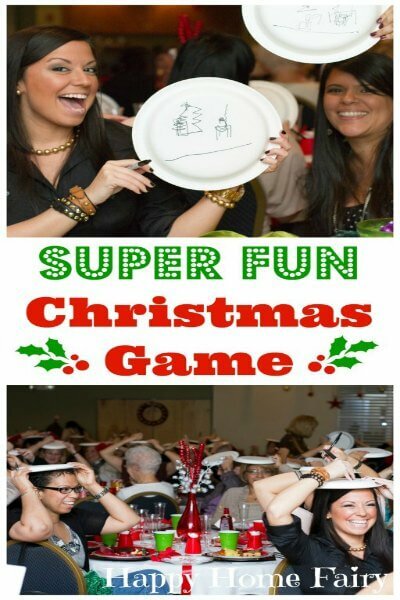 Whether you are looking for Christmas Party Games or adults or Christmas Party Games for kids, there is something for everyone. Make your list and get started planning those holiday parties. Throw in a few of these games and get ready to have a blast. These are also perfect if you need Christmas party games for church groups. Don’t underestimate the power of games and how much fun they are. 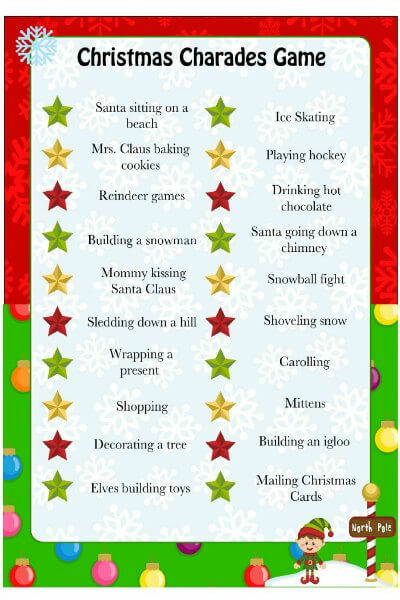 You can even try these for office Christmas party games for large groups! If you have coworkers that don’t know each other well, this is such a great way to get everyone interacting and having a blast. Let us know if you try these Christmas party games for work. Whatever you decide to do will be so much fun. These games are inexpensive and simple to do. No need to spend tons of time or money on these games. You will find games for kids and adults, families, work and more. From small groups to large groups, there are tons of ideas to suit everyone. 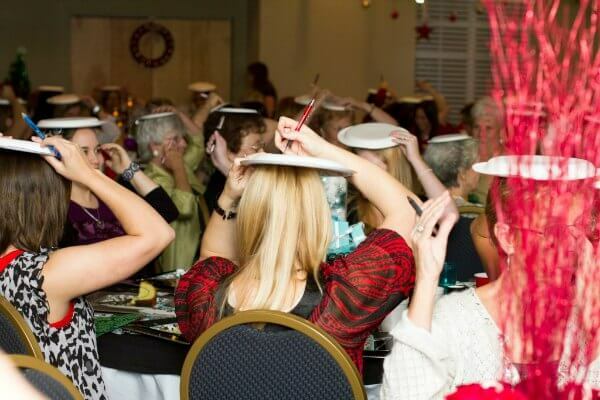 We love to do party games at all our Christmas parties. It is such a good way to start conversations and get everyone talking. You can’t beat a good Christmas game. If you are hesitant to try some of these games, don’t be. Just pick out a few and get ready to have a blast at your party. Once you start, you will wonder why you didn’t try these sooner. It will become an annual tradition at all of your parties. Guests will love these games and look forward to playing them each year!